I met Kris Kennedy in the spring of 2008 when we were both Golden Heart finalists. I was quickly impressed with her intelligence, friendliness, and generosity. 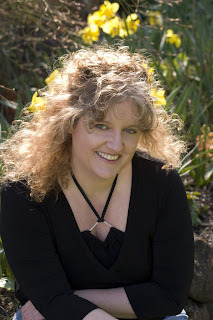 Once her first book hit the shelves (remember last week's deliciously medieval THE CONQUEROR? ), I was impressed with her talent as well. Her writing is rich in historical yumminess, her plot grabs you from the first page, and her characters are people you love spending 300 pages with. 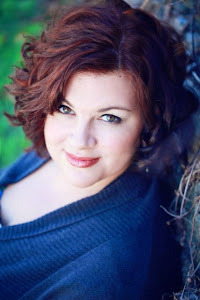 When I learned her second novel was coming out this month, I couldn't wait to have her on the blog! Inhibited, accountant-minded Senna de Valery comes to Ireland to finalize a deal that will save her faltering wool business. What she gets instead is a cunning English lord with dangerous ulterior motives. Forced to rely on her wits, not her ledgers, Senna frees an Irish warrior chained in the prisons, and together they flee across the war-torn land of medieval Ireland. But Finian O’Melaghlin is much more than a charming, roguish warrior. He is councilor to his king, on a grave mission to recover military secrets, and has a dangerous agenda of his own. King and outlaws, weapons and war: Can love indeed triumph over all? Kris chose to be interviewed by the always dashing Captain Jack Sparrow. Now that you know who's who, let's dive into the interview and reveal the awesome cupcake my hubby made for Kris. (He thanks Kris for the fantastically simple concept she gave him!) Since her latest novel is called THE IRISH WARRIOR, he made a cupcake fit for an Irish warrior. Without further ado, I give you the cupcake and Kris's interview with Captain Jack. opposing team, I'd have to choose . . . pirates. Sorry, Jack. 2. Am I to understand you chose pirates because you actually sympathize with the navy and plan to use your delicate digestive system as a weapon against us? *shakes head* Bad form, my dear. *hands you a bucket* What¹s your favorite thing to do in Tortuga? 3. One can only hope you refer to an activity slightly more agreeable than copious vomiting. If so, I offer myself at your service. I'm offering you free passage aboard my ship to anywhere in the world. Where shall we go, love? Besides the privvy. places, right? And you will, right? Because I can . . . sweat. 4. Darling, anyone who longs to spend time with smugglers can't possibly be overly sympathetic to the navy. 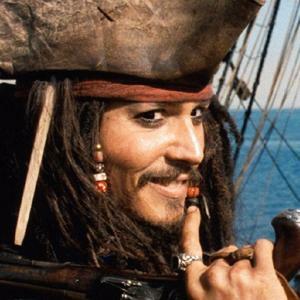 Who is the hero of your story most like: me (savvy, debonair, and unquestionably smooth with the ladies), the insufferably honorable Will Turner, or that deceptive little minx Elizabeth? 5. My dear, I don't want to meet anyone in a sword fight. There are so many more interesting ways to pass the time. Speaking of which. Rum? Or more rum? More wine! More beer! No Rum! 6. I see. In that case, no rum for you! Which leads me to the age old question: Why is the rum always gone? Clearly, you drank it all. Has no one ever told you that before? 7. You may be right. Or that wicked little pirate Elizabeth may have had an inescapable craving for s'mores and needed a bonfire for her marshmallows. What's the most piratish thing you've ever done? talking daring and derring-do too, though? If so . . .I took a cross-country trip on my own the year before I graduated from college. Six weeks, all across the country. Yes I had my car (for part of the time) but it was all me and the open road. It was incredible. Many adventures. treasure chest. That makes me a para-pirate, right? 8. There's no such thing as a para-pirate, love. You're either a rogue at heart or you aren't. Despite your vomitous proclivities, I sense a rogue in you. Here's a nice little test. Are they rules? Or more like guidelines? LOL. Jack, for you, they're merely suggestions. Possibilities. 9. More like pesky annoyances I use when it suits me. I understand you're a story-teller. Any undead monkeys in your stories? your horizons? I¹ll have to try and work one in . . .
capabilities. They are beautiful weapons. 10. Am I to understand you're comparing dyes to undead monkeys? I have to tell you, having lived with one, I strongly suggest you proceed with caution in your plan to include one in your next story. They're devilish little creatures. Any curses? Heartless monsters? Irritating women who insist on taking matters into their own hands? Ha. Yes to all three. keeps pushing. So, you mean, like that? 11. Aye, like that. I find myself in sympathy with your Finian. Oft times kissing a woman is the only way to shut her up. It's most unfortunate the pretty creatures usually see fit to apply the flat of their hand to the side of my face once I've successfully silenced them. One of my favorite words is "egregious." Care to share one of yours, love? 12. I'm not overly fond of the word "consequences." Parlay? Or draw your sword? Pearl. We land-lubbers have added incentive to parlay. 13. Understood, love. You've got a crowd of cursed sailors and a nasty sea monster on your trail. How do you escape? Holy cow. I steal your ship. 14. Slander and calumny! Blasphemy! Steal my ship and I'll hunt you down, woman or not. And, I'd bring one very undead monkey along for the ride. And you said you weren't a pirate. Romantic night in? Or adventure on the high seas? Let's do . . . adventure. 15. Brave woman to risk the contents of her stomach like that. You're welcome aboard, of course, but don't even think about laying one pretty finger on my ship's rudder. My personal motto is: Take what you want, give nothing back. What's yours? start intending bigger, better things right now. also I'll give away a book to one reader, k? Thanks for the awesome interview, Kris! And for writing such delicious medievals. Speaking of delicious medievals, the fun isn't over yet! 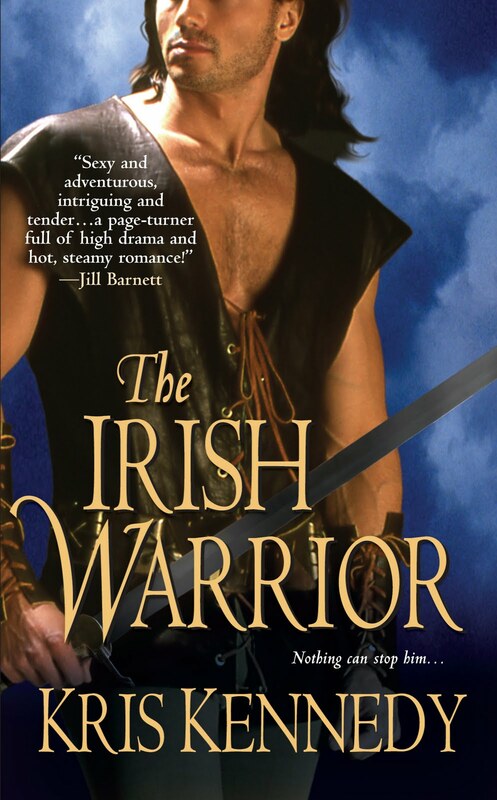 One lucky reader will win a signed copy of THE IRISH WARRIOR!! Here's how to enter. 3. Check back: The contest is open until 8 p.m. Saturday, June 12th. Please check back to see if you've won and to claim your prize. Good luck to all and happy reading! Yay, she's running to the bookstore! ;-) Happiness ensues. 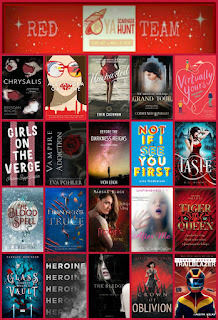 Adding your book to my TBB list, soon to join my TBR pile. Mercifully, the TBR pile isn't very high right now. Double win! I guess I have two points...RT and here. Great interview, and that cupcake made me hungry. I haven't got my copy yet, but am anxious to read it since I loved The Conqueror. Wonderful interview. I'm incredibly impressed that Jack Sparrow with all of his other attributes dabbles in journalism. Very impressive, and kudos to you Kris and best wishes for your success! This was so much fun. Do you think C.J. would bring Jack over to that other loop we're on? I loved THE CONQUEROR. Can't wait to get my hands on THE IRISH WARRIOR. Literally. Fabulous interview, Kris, even if I never drink rum or go sailing with you (more mojitos for me, I guess)! The Irish Warrior is in the Q waiting to be read. I'll take the rum and I love to sail! Great interview Jack and Kris! Can't wait to read Irish Warrior! Yay! I'm going into short piles! That's the 2nd best place to be. First,of course, is in your hands. :-) Glad to book sounds like something you want to read. Let me know what you think. Hey girl! Thanks for stopping by. If you like this cupcake, you should check out the cupcake CJ's hubby made for Barbara Poelle last week. It's a bee-shark. Poor, amazing guy . . .
You make an interesting point. We should really be allowed to take Jack ANYWHERE, right? I mean, he's not a dog, he's a pirate. Are there No Pirate laws? Signs banning them from restaurants? What if he's leashed...? You may most certainly HAVE the rum, you and Jack. Just be careful . . . he's a pirate and all. Not trustworthy, even if he is sorta kinda cute. I'll be up at the helm, steering us for a sea cave, while you guys share rum-toasts belowdeck. 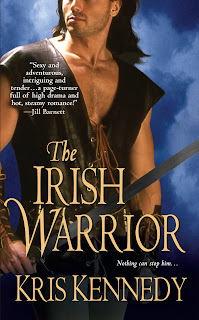 I adored The Conqueror, and anything with Irish in the title is a must buy, so with Kris's The Irish Warrior I was a whimpering little pushover! I've already made my run to the bookstore. It's fantastic, Kris. Thanks for the interview, Captain Jack. Wow, this looks like a super good book! I have to get it next time I'm out. Also, the cover is great! Fun interview! 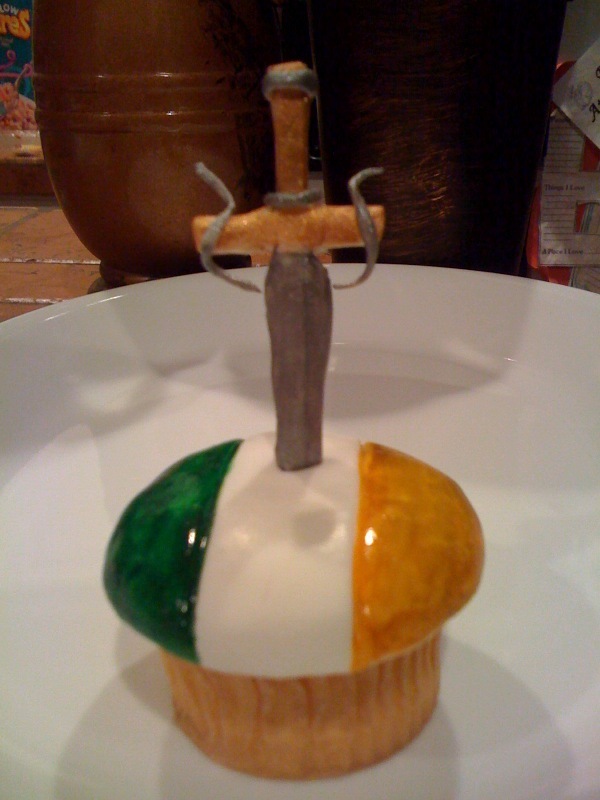 That is one seriously awesome cupcake by the way. This was your Golden Heart story, right? Thanks to everyone who loves the cover--Kensy's Art Dept did such a wodnerful job, didn't they? I love this cover enough to eat it. I won't, of course, I just b*could* . . . If you do pick it up, let me know what you think through the website! Okay, I'm up to nine points, may make it twelve if I get around to writing a blog :D However, my FB page has umpteen followers, so you will hopefully get some new followers from them. I so appreciate the interviews you do. Diane you have won. You have to look at newer blog for details. I really would like to win in a redraw but it would be real bummer for you to lose out! !